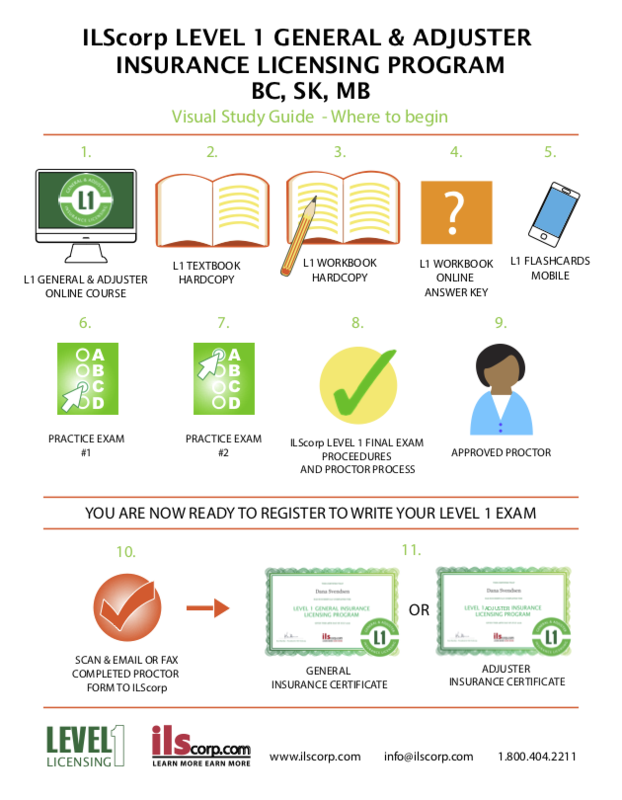 ILS L1 Program has everything you need in one package to successfully pass your Level 1 Insurance Adjuster Licensing exam in BC, SK and MB. Once the education component of your Level 1 license is complete, the successful candidate is required to have the sponsorship (employment) of a licensed adjusting firm in order to apply for a Level 1 license from the Insurance Council of BC. The successful candidate must upgrade to Level 2 within 18 months from the original issue date of the Level 1 license. If a resident of Saskatchewan, the candidate applying for a Level 1 license must successfully complete the General Insurance Council Bylaws examination offered through the Insurance Council of Saskatchewan.